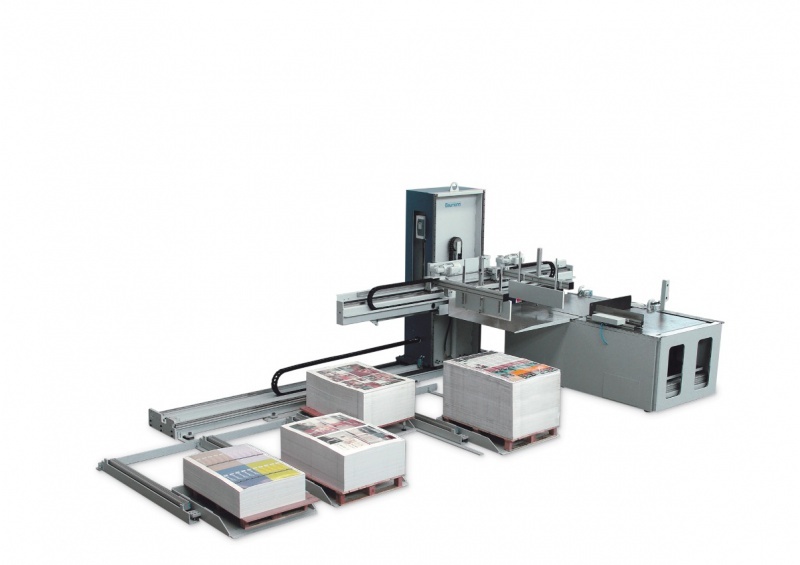 The multiple unloader BA Multi automates the restacking process. The unloaders BA Multi enable you to restack up to 4 piles onto up to 4 different pallets. They offer a great variety of possible combinations. Different materials can be handled at the same time. 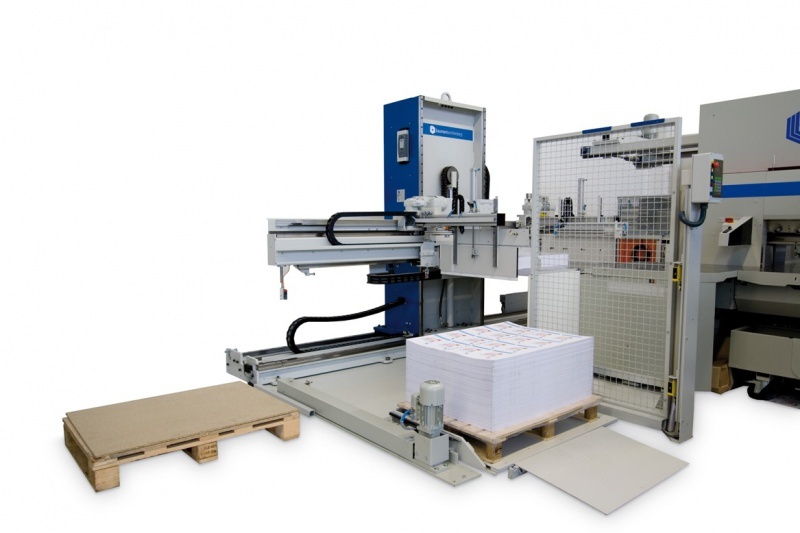 The unloaders BA Multi are able to restack both large-format single-cuts and divided or multiple-cuts and can also be used for strips or labels within the label production. The complete machine moves within the machine bed. It can take up the products at different places and restack them at one or several pallet places.